In the past, we've lost our cool when we saw former President Barack Obama dining out with certified hottie Justin Trudeau (his other title? Prime minister of Canada), but nothing quite tugs the heartstrings like learning that Obama and former vice president-turned-ultra-BFF Joe Biden recently had lunch together. I hope they were wearing their friendship bracelets! The meme-able duo shared a meal at Dog Tag Bakery in in the Georgetown neighborhood of Washington, D.C., yesterday. Once there, in true brothers-for-life fashion, they got the same sandwich: a ham and cheese with mustard. Not just any plain-Jane ham and cheese; this one is topped with Gruyère, served on shallot jam ciabatta and is actually topped with a mustard aioli. Obama, ever health-conscious, also added a fennel salad to his order. Gotta get those veggies in or I'm sure Michelle Obama would have something to say. Dog Tag Bakery isn't just your average restaurant. Their mission is to help service-disabled veterans, military spouses and caregivers get training and work experience as a civilian once their service has ended. When participants in the fellowship leave the program, they walk away with a certificate in business administration from Georgetown University’s School of Continuing Studies. 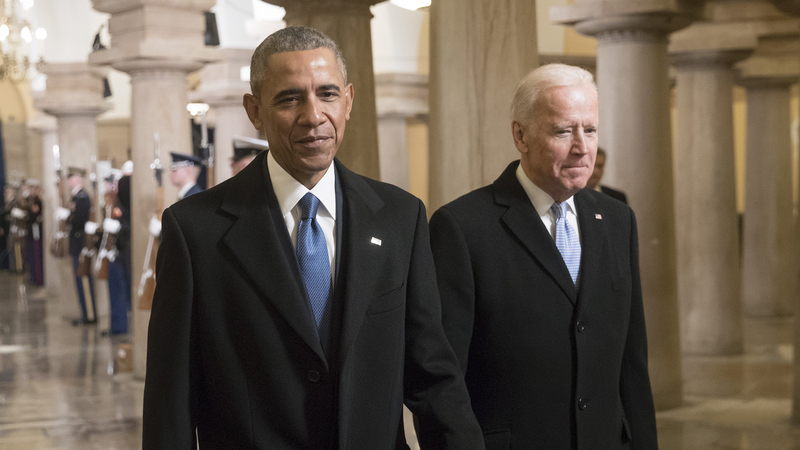 That means not only was Obama and Biden's lunch an adorable friendship hangout, it was also a way for them to support an essential service for military veterans. Here's hoping that even though they're not working together in the spotlight any longer, we'll still get to see these pals hanging out for years to come. Anything for a little levity in Washington, am I right?